Learn how NeurOptimal® neurofeedback is effective from client reviews. Discover ways to be noticeably more comfortable in personal and professional situations. How to put your performance anxiety in the back seat. Watch a short video on how to worry less now. Neurofeedback is a relatively new brain training option for individuals and children, and is growing in popularity for mental and emotional fitness. Often the first time clients hear about neurofeedback is when someone recommends it to them. Often with the response, "What's neurofeedback?" They start the process of educating themselves about what it is, how it differs from biofeedback, and whether it is effective. We will discuss these general question, as well as which neurofeedback device is the best for your needs. 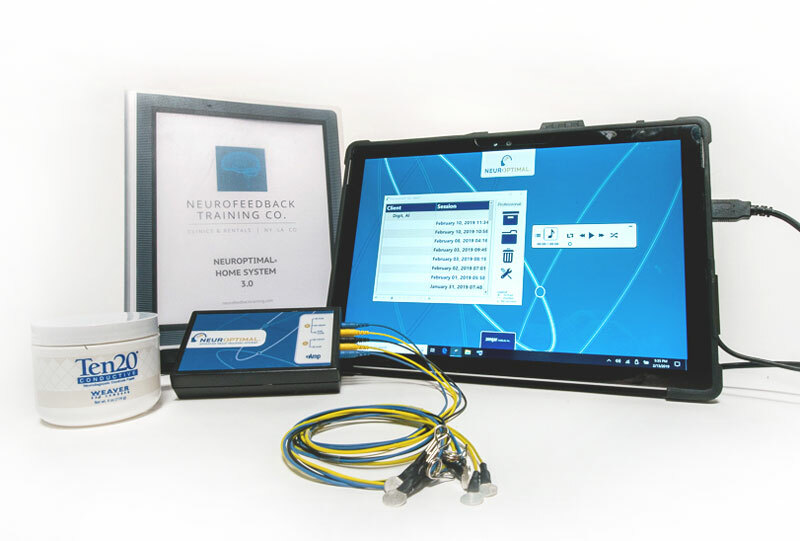 To help with the education process, here is some information about the NeurOptimal® system, whether neurofeedback can cause harm, how long it takes to work, as well as testimonials from some of our clients. This short video explains the basics of NeurOptimal® design and how it works. In general, the technology tracks brain activity through EEG sensors that are attached to the head and ears. It collects the brain's choices as reflected through its electrical activity at the rate of 256 times per second. The NeurOptimal software then alerts the brain to its behaviors through interruptions in music that is played during the session. This process acts like a mirror for the person training to be able to register and shift the maladaptive behaviors to create mental and emotional wellness. For a more detailed description of the technology, and to see how it has advanced over the last twenty years, read this article. Neurofeedback brain training is not harmful. There are different kinds of neurofeedback that have been developed over the 40 years, including linear, neurostimulators, fMRI, and Dynamical. The first generation was linear, also called protocol neurofeedback. 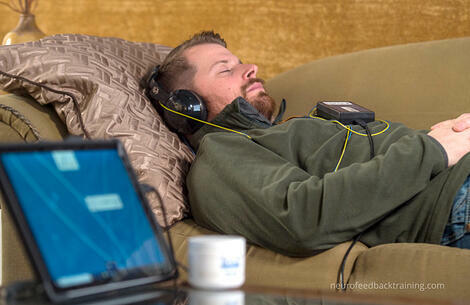 Later came the NeurOptimal® neurofeedback, the device we use at our center. 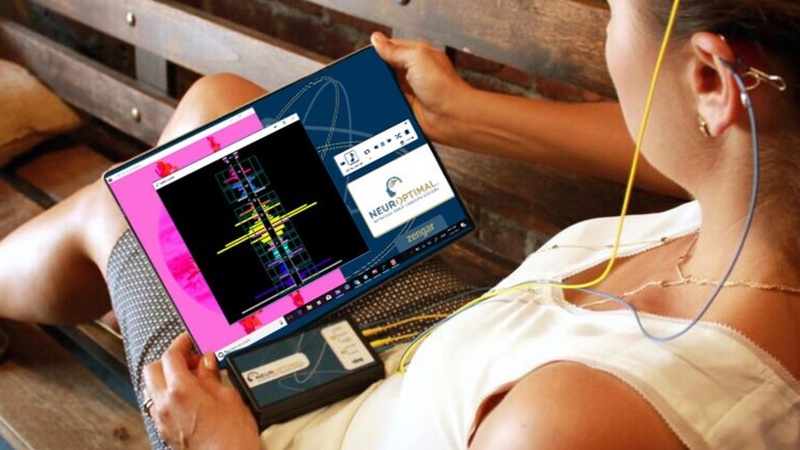 This is the only Dynamical neurofeedback system and harnesses the increased speed and advancement in computer technology and computing power. With the exception of neurostimulator or microcurrent neurofeedback devices, neurofeedback does not add anything back to the brain. 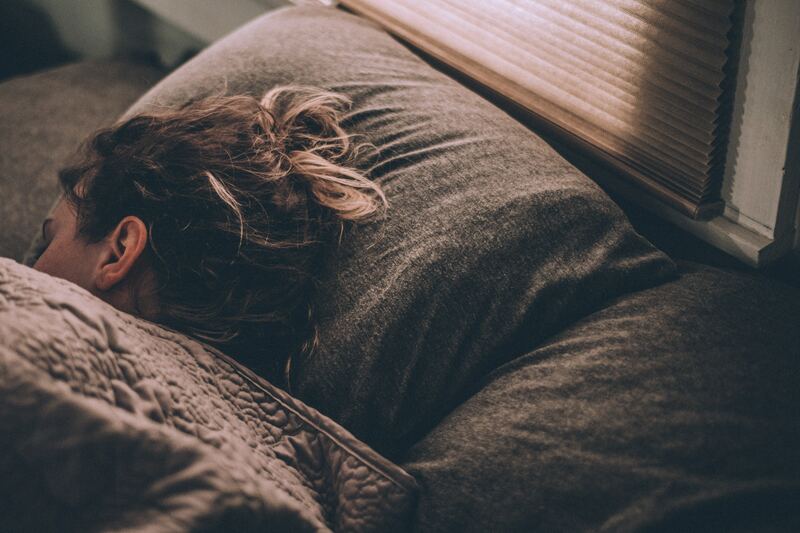 Linear neurofeedback can have slight day-of side effects from over training, such as feeling a bit drowsy or revved up, but they tend to shift quickly. With the NeurOptimal® system, nothing is added to the brain. It is a feedback system that mimics the brain's organic function. The brain is a dynamic and nonlinear system and NeurOptimal uses a dynamical format, where the mathematics of the software continuously gives feedback to the trainee as the brain activity shifts. The reported side affects of using NeurOptimal are the results of increased awareness, rather than true side effects. This naturally occurs when the body becomes more mindful. Some clients report greater awareness of exhaustion at the end of a session. This is most often noticed in clients who report being sleep deprived. The positive impact is that clients will go home and make sure they get a good night's sleep. Other effects clients report are feeling greater sensation in the body, heightened relaxation or calm, and feeling greater clarity. Every brain is different so the answer varies depending on the client. One factor that impacts how long it takes to see changes is how self-aware the individual already is. The more awareness the client has of their body's sensations, emotions and thinking habits, the sooner she will see results. In general, clients report noticing shifts in the first three sessions. Reported shifts include: a greater sense of calm, focus and clarity after a session, managing his sleep better, and waking up feeling more rested the day after training. By the 10th session clients usually report that the neurofeedback is supporting them meet their wellness goals. 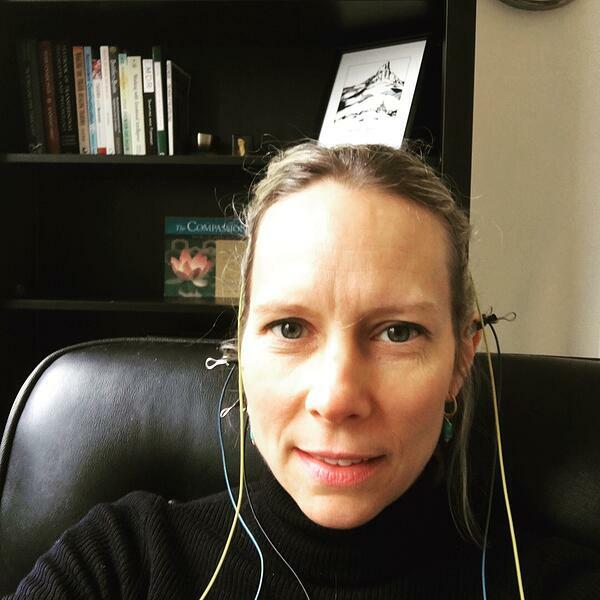 In 2011, Natalie Baker, LMHC, the Neurofeedback Training Company founder, was leading a meditation program, when a student asked if she had heard of neurofeedback. He was curious about its application in emotional health and mindfulness practice. As a mental health professional, Natalie was very curious about any tools that could potentially help people break their emotional and mental habits. After reading Symphony In the Brain, written by New York Times science writer, Jim Robbins, she was convinced that this technology had the potential to benefit clients. Natalie spent the next six months researching different neurofeedback systems and talking to different trainers. 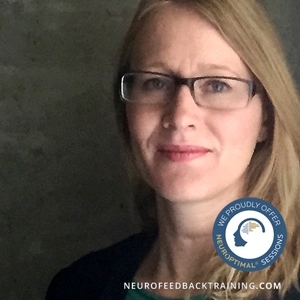 She spoke with many practitioners who had started with linear neurofeedback, the first generation of neurofeedback devices, and the had switched to the NeurOptimal® system. She decided to start there. She went and tried NeurOptimal® on herself and did not notice anything significant in her experience at first. At the fourth session, she noticed a big shift in all her sense perceptions. Sounds and sights becoming more vivid and clearer right afterwards. And after her seventh she noticed greater emotional resiliency, especially when she was tired. Natalie then sent a few of her mental health clients interested in regulating their emotions to try NeurOptimal and they all found it beneficial. The features of the NeurOptimal® that were most attractive to her, besides that it was effective, were that it is fully automated and safe for children to use. Since that time the company has grown from one in-office system in New York City to two neurofeedback centers in NYC and Los Angeles, Pasadena, and 48 home neurofeedback systems that are rented to clients nationally, with a rental hub in Denver, Colorado. We also have partnerships with trainers in Boulder, Colorado and Portland Oregon, so that rental clients can try a session in-office before renting. 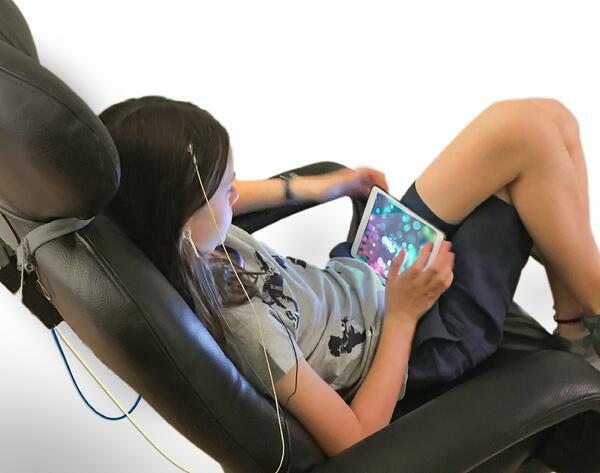 Neurofeedback home kit rentals are a natural fit for parents who are seeking brain training for their children, as it is less expensive and more convenient than in-office sessions. We strongly encourage at least one parent to also train with the neurofeedback program alongside their children. Families who report the best results and the most satisfaction tend to train together. We also specifically target our rental programs in states that do not have NeurOptimal centers within an easy reach, such as Nevada, Alaska, Utah and Montana. NeurOptimal works best as a weekly or bi-weekly program, so professional rentals provide access to those who live far away from centers. We created a neurofeedback program for remote use with a certified trainer who coaches clients through the rental process. To help understand how wide range of client goals and potential benefits, here is what some of our rental clients are saying about NeurOptimal® neurofeedback. "I’ve used neurofeedback for 2 months - training 2 times a week. I’m becoming less nervous and tense is social settings, and I have less worrying and agonizing thoughts. I am noticeably more comfortable in both personal and professional situations, hooray! It feels great to have found a tool that has truly helped move the needle on issues I’ve been experiencing (and trying to resolve in various ways) for years. I liked my neurofeedback home rental experience so much that I ultimately decided to purchase a system. Thanks! :)"
"Easy to use, cost efficient and extremely effective. My performance anxiety has taken a back seat and I'm feeling more relaxed in social settings." "I rented the neurofeedback family trainer for two months and it was very easy to use. After 14 sessions, I felt more energized - more able to concentrate. Things that in the past would have bothered or depressed me, now just seem to melt away. I'm more able to take charge. I'd highly recommend doing neurofeedback and renting the home system." The NeurOptimal® brain training method is a learning process that helps us interrupt our habitual patterns and create new, healthier ones. In general, the training sticks so long as we stick with it long enough. How long is long enough? This depends on one's lifestyle and wellness goals. We encourage all clients to fill out our Checklist to track changes every ten sessions. We also coach them to notice when changes become stable and how well they can manage their stressors. Our goal is for clients to feel confident that their results are stable before stopping training. On average, clients who rent for two to three months and train a few times a week per person. Clients typically feel the training was effective and reliable, and return to the system when they feel they need more training. Some decide that they want NeurOptimal® to be part of their on-going wellness supports and purchase a system. Often, families will decide they want to keep a system while their children are in school to help them with school performance and stress during those years. A good analogy is learning a second language-- once you've learned it you are confident and the the ability to speak flows naturally. But if you go a long time without being exposed to it, you can forget. When you expose yourself to the language again, you pick it up very quickly. Training with NeurOptimal is very much like that. Typically, clients report that once they have completed 20-30 sessions, they notice shifts in their focus, emotional resiliency, and stress management. Around then is a good time to take a break and assess without training. Neurofeedback training can easily be re-started when there are new and persistent stressors, or old habits take over again. Booster sessions help manage new mental and emotional challenges. When they have completed their neurofeedback program, clients often say "I still have problems I just worry a lot less about them." Life will always have its challenges. The purpose of the neurofeedback program is to promote problem-solving by training the brain to be more mindful and aware of negative thoughts and patterns. Once these patterns are identified, it becomes easier to practice healthier habits and lead a more enjoyable, less stressful life. Sara St. John, started with neurofeedback training in 2011 as a customer. She loved it so much that she switched careers and became a certified NeurOptimal® Neurofeedback Trainer in 2015. She came to Neurofeedback Training Co with expert operations and communication skills from her previous 20-year career as a graphic designer. She is the rental manager and coach for the West-coast region- California, Washington and Oregon.